Call for your personal details. 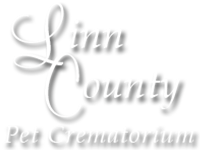 At Linn County Pet Crematorium, we provide personalized and convenient cremation options for when you lose a dear pet. We understand how difficult this time can be and will ease the process by providing both pickup and drop-off of your pet from your local veterinary office or home. We provide full service cremation services for pets. We will pick up and drop off your pet from your home or local veterinary office. We carry lovely pet urns and can make paw prints of your pet. We bring over 20 years of experience to the business. For some of us lucky ones, our cats and dogs are not mere pets, but instead members of our families. The years we spend with them are full of life, laughter and love. Unfortunately, our pets’ lives never number enough years and we are faced with the terrible process of having to say goodbye to them. Though this is never easy, our company offers pet cremations in Cedar Rapids IA, so that you can choose your pet’s final resting place. Whether you want to hold on to your furry friend’s remains in one of our tasteful urns or you choose to sprinkle their ashes across the land where they loved to romp and play, our service offers you that choice. "Tereasa was very caring took care of all our needs even drove 60 miles to pick our boy up would recommend her to anyone needing this service"
"She was very kind to us, she gave us a hug and wished us well. Losing our boy was difficult, but Theresa made it better. Thank you! " February 26, 2019 Heather O. 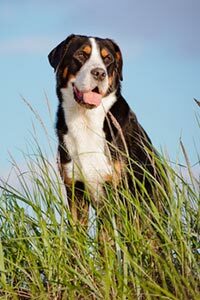 "Losing my boy, Koga was devastating but the team at Linn County Pet Cremation made the experience much easier. They were extremely understan..."
"Theresa was more then amazing!! Very comforting and caring!!!" "Teresa was so wonderful during my loss of Baloo. She was very concerned and accomdating. Bless her." and other areas throughout Western Iowa.